A 300-Level Computer Science student of the Olabisi Onabanjo University, Ago Iwoye, Ogun State, has been found dead alongside his Diploma student girlfriend, many weeks after they were declared missing. 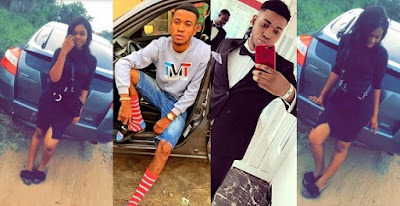 Adebisi Oriade aka Oh Dollar was said to have taken Juliana out on a date, last month, before they went missing. His car was later found with its door opened, but no traces of them was found. However, after weeks of searching for the lovebirds, their decomposing bodies were found today in a bush at Oru, Ijebu, Ogun State.